Now the preparations for CeBIT are in full swing! MERRY XMAS & HAPPY NEW YEAR TO ALL OUR CUSTOMERS AND PARTNERS!!! Have no fear of sabotage to your tracker circuit. 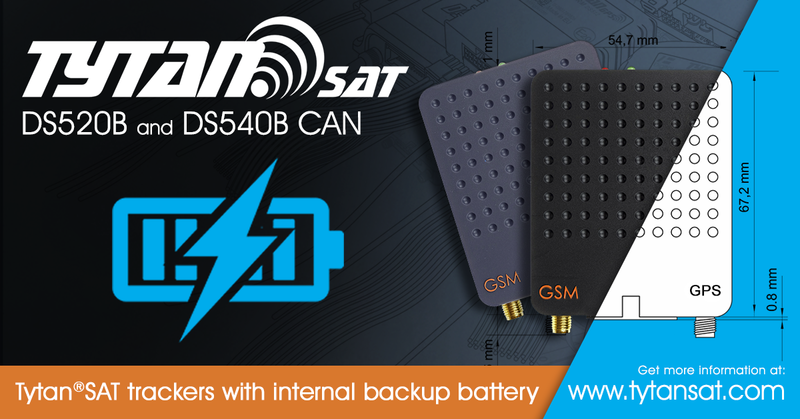 Internal LiPo battery allows Tytan®SAT device to operate in emergency conditions when vehicle battery is disconnected. The device still remains online and sends data to the server. Copyright © 2016 Digital Systems.